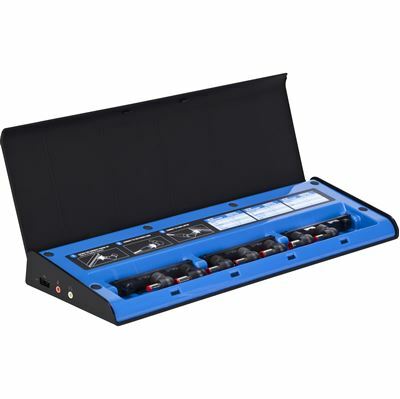 Set up a dual-video 4K workstation with this docking station. It connects to multiple laptop platforms and peripherals as well as delivers laptop charging. 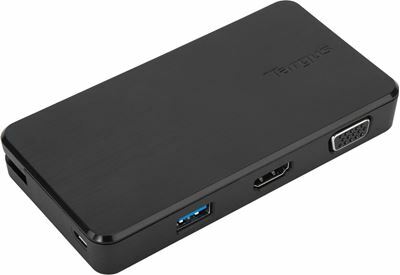 Create a powerful dual video workstation with the Targus® Universal USB 3.0 DV4K Docking Station with Power. Connect up to two external monitors for crisp, clear images at resolutions up to 4096 x 2160 p60 24bpp color. Perfect for tight spaces, this compact dock is compatible with USB 3.0 host devices and features stacked ports for a footprint that’s approximately half the size of typical desktop docking stations. 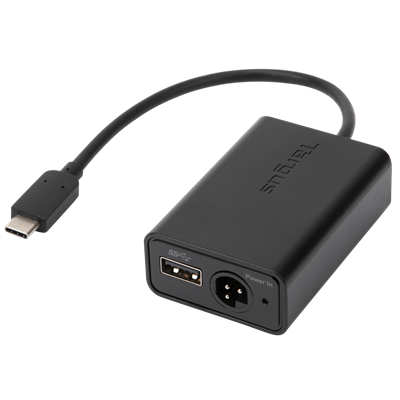 It also delivers integrated power and integrated charging for most popular 19VDC laptops. And it’s designed to support multiple host platforms and brands for a broad range of compatibility. Up to five USB 3.0 ports can be utilized connect all of the essential peripherals like your mouse, keyboard, and printer. And integrated Gigabit Ethernet connectivity supports high-speed Internet connections. With a compact wedge design, this docking station takes up minimal desk real estate and provides a comfortable typing experience. Charging tips are included to make this dock compatible with a variety of major laptop brands, and they’re stored in a removable case that fits neatly inside of the dock.